This weeks challenge is all about the FEET. Now I'm not a big foot fan unless we are talking pedicures or shoes, but as I was uploading my pictures from our car ride yesterday I knew I had the perfect picture for this challenge. While I was taking my turn driving, hubby took the opportunity to hang out in the backseat with Zoe. 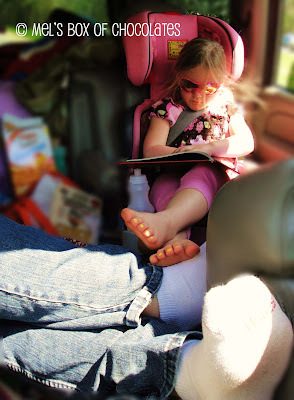 He took off his shoes and propped up his feet to enjoy a book on his nook. Zoe took the opportunity to get comfy too and as she propped up her feet and began reading her book, she took a deep breath and declared, "This is the life." I captured the moment and couldn't agree with Zoe's statement more. This is the life and I'm so blessed that it's mine. 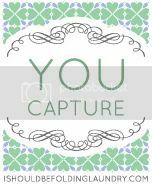 You Capture is being hosted by Keli this week as Beth is busy adoring her brand new baby. Go check out all the other feet on display!